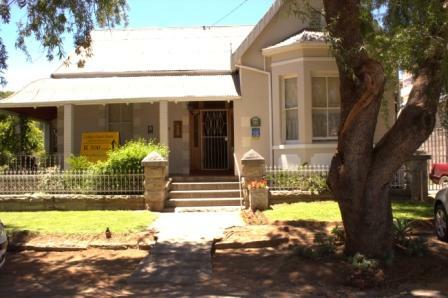 Cathy’s Guesthouse is situated in central Cradock near to local shops, restaurants, fast food outlets and hospital yet in a quiet residential street. We offer quality accommodation at the best value for money in town. Overseas visitors particularly love the ambiance. All rooms are on the ground floor with their own access from the garden/pool/braai area which is directly accessible from the adjacent private parking area. All rooms have their own private bathroom and are fully equipped with refrigerator, microwave, electric kettle, cutlery, crockery, glasses, fan, electric blankets and have both indoor and outdoor seating areas.